STV2 Photographic scene of Civil war encampment of the 'Army of the Potomac', E & HT Anthony backmark $250 ...the reverse. 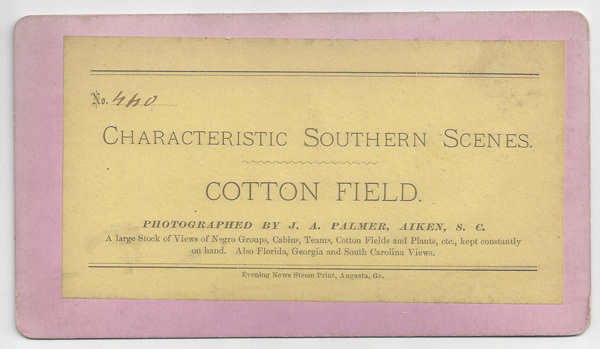 STV3 Depicted scene of the battle at Gettysburg, backmark indicates this card as #479 in a series, W.H. Tipton - photographer $50 ...the reverse. STV6 Depicted scene of the battle at Gettysburg, backmark indicates this card as #489 in a series, W.H. Tipton - photographer $50 ...the reverse. STV7 Depicted scene of the battle at Gettysburg, backmark indicates this card as #490 in a series, W.H. Tipton - photographer $50 ...the reverse. STV8 Depicted scene of Pickett's Charge, Mumper & Co. - photographer $50 ...the reverse. 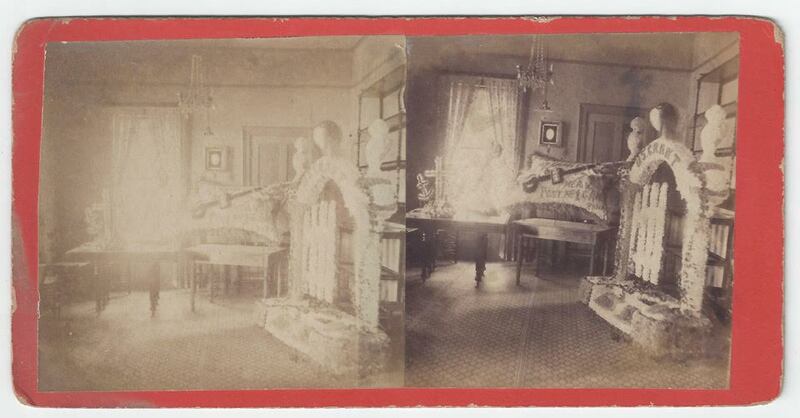 STV14 1865 photograph of U.S. Post Office in Wash., D.C., G.D. Wakely - photographer $50 ...the reverse. STV15 Photograph of Florida scenery, Isaac Haas' Gallery, Green Cove Springs, Fl. backmark $25 ...the reverse. 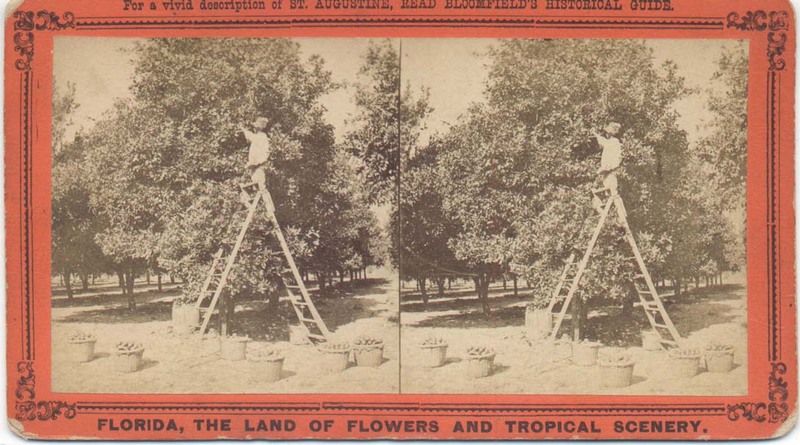 STV16 Photograph of Florida scenery, #49 in a series of 'Florida Views', 'Old Fort San Marco' in St. Augustine, backmark label has facts about Florida $65 ...the reverse. 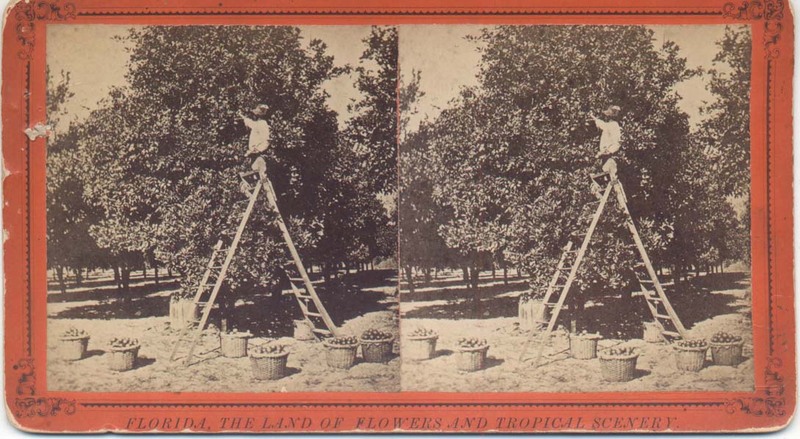 STV17 Photograph of Florida scenery, #78 in a series of 'Florida Views', 'Entrance to Fort Marion', backmark label has facts about Florida $25 ...the reverse. 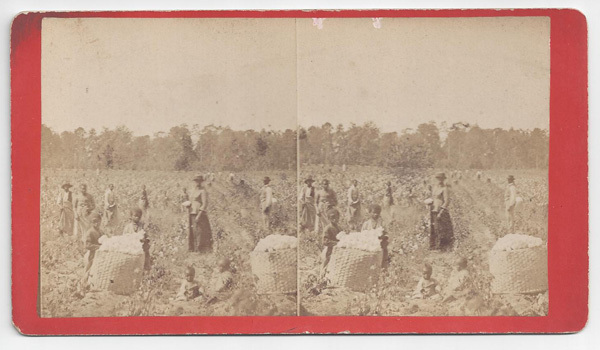 STV21 Titled "Cotton Field", photographed by Aiken of South Carolina and published by the Evening News Steam Print of Augusta Georgia. $125 ...the reverse.